The wearer’s concentration is broken. 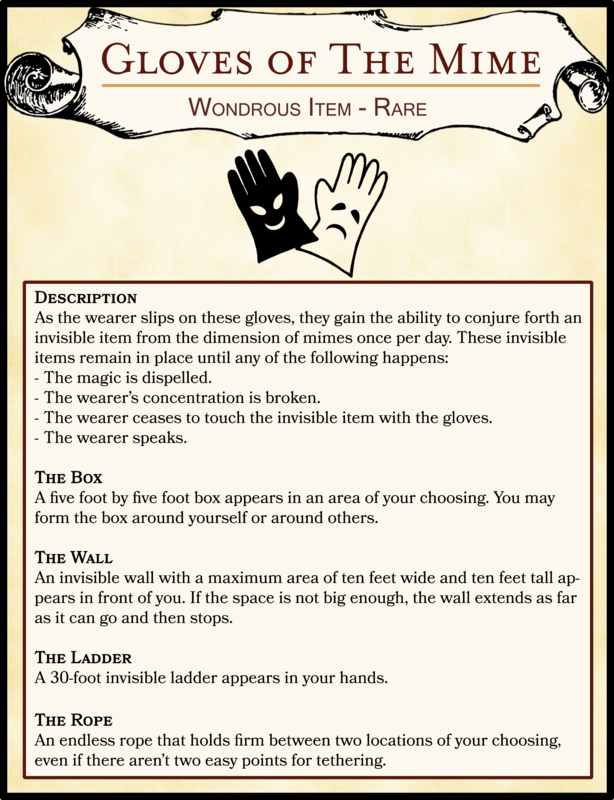 The wearer ceases to touch the invisible item with the gloves. A five foot by five foot box appears in an area of your choosing. You may form the box around yourself or around others. An invisible wall with a maximum area of ten feet wide and ten feet tall appears in front of you. If the space is not big enough, the wall extends as far as it can go and then stops. A 30-foot invisible ladder appears in your hands. An endless rope that holds firm between two locations of your choosing, even if there aren’t two easy points for tethering.